Finally very good news for all the candidates! Jharkhand Public Service Commission, Ranchi, JPSC Recruitment 2019 has taken out the official Notification after a long wait, it has released a total of 262 official posts for Assistant Professors. 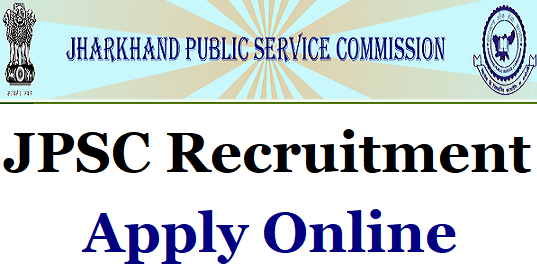 Candidates who have been eagerly waiting for this opportunity should immediately apply for (JPSC) Jharkhand Public Service Commission Ranchi Recruitment 2019 before the last date. It is a golden opportunity for the candidates who want to build and continue their career in teaching and those candidates who strive for learning and excellence, who have the urge to excel and want to be future leaders. (JPSC) jharkhand Public Service Commission, Ranchi, is looking for very motivated. Determined, committed and enthusiastic candidates to join them. Those candidates who are eligible and looking for career growth and an excellent opportunity to nurture their soft skills can apply. Total Vacancies: Tentatively 262 in total. Assistant Professor A candidate should not be less than 30 years and more than 40 years. Step 6: Candidates are then supposed to pay the fees as per mentioned rules and guidelines. Step 7: Candidates are advised to take out two print outs of the application form for future use.